One of the beautiful things about solo traveling is that you’re living life on your terms. It’s empowering to get to learn about yourself and what you want and do that against the backdrop of a beautiful country. Now, traveling solo on an organized tour, for example, is likely safer that doing so independently. After all, you are with a lot of other people and a guide, or possibly two, who know the destination well. However, if the question is about independent solo travel, our response is yes, it’s safe. With the understanding that all travel comes with certain risks associated with being out of your element, solo travel is safe. Like all travelers, you need to plan well, be aware of your surroundings, make good choices and follow the safety tips below. Solo travel safety begins before you leave. Research is important. Knowledge protects you from the danger of misinformation, unsavory individuals and/or naively wandering into an unsafe area. Imagine how you can be taken advantage of if you don’t understand the currency. Or the health problems you could face if you don’t know the necessary vaccinations for your destination. Or the potential loss of money, documents and more if you don’t know the unsafe areas at your destination. There is much to know before you go. If you’re traveling long-term on a shoestring budget, it can be hard to justify spending extra cash when it could go toward so many more fun activities. But it’s a smart idea to financially invest in your own safety. It means that if your flight is scheduled to land in a rough city late at night, you should spend more money on a guesthouse that will pick you up right from the airport instead of taking a bus into town and trying to find a guesthouse on foot. It means you should pay extra money to take a taxi home at night if you don’t feel comfortable walking through the neighborhood on your own. It means paying more to stay in a central neighborhood with lots of lively activity instead of a cheaper, quiet residential area where you feel isolated. It means you should choose the dive school with the stellar safety reputation and hundreds of positive TripAdvisor reviews instead of the rough-around-the-edges dive school that will do it for much cheaper. 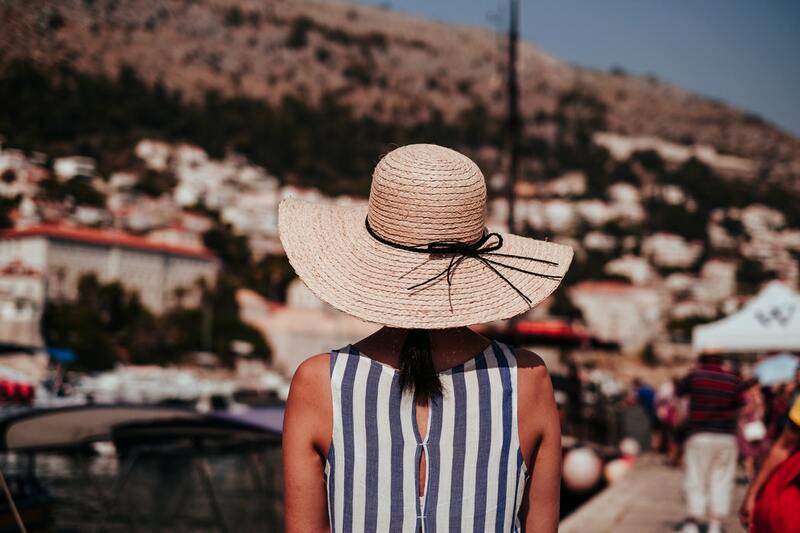 Build an extra financial cushion into your trip and use it for situations like these: ones where you could be a little bit safer if you spent a little more. Schedule your arrival during daylight. The first stop for most travelers to a new destination is their hotel or hostel. We suggest that you arrive in the mid-afternoon so that you can really see what kind of area you’re staying in. A safe area will always look better in daylight. An unsafe area is more obviously so in daylight. But there are more very practical reasons to arrive during daylight as well. You will be able to find your accommodation more easily and if you don’t like it, you will have time to make other arrangements. This is a tip that doesn’t get said often enough. It’s applicable whether you’re at home or on the road. When you drink alcohol, you dull your senses and slow your reaction time, which in turn makes you vulnerable to others. That doesn’t mean that you should avoid drinking altogether. Instead, drink slowly. Pace yourself. Eat beforehand or during. Have a glass of water in between each drink (your body will thank you in the morning). Be cognizant of what you are actually drinking, and always take drinks directly from the bartender. Constantly ask yourself, “Do I want to be less in control than I am right now?” and stop if the answer is no. Most importantly, resist the pressure, gentle or otherwise, to keep up with others who might be able to drink more than you, especially in countries where it’s common to “shout” drinks for a group, like the British Isles. Don’t think you need to go drink for drink with your companions, especially if they happen to be beefy rugby players from New Zealand. In the event that the worst happens – your purse is stolen, your credit cards are suddenly maxed out, you get sick and need to go to the hospital – it’s good to have a backup plan. For documents, keep front-and-back copies of your credit cards saved to cloud storage like Google Docs or Dropbox, as well as a copy of your passport. It’s a good idea to keep your bank and credit card phone numbers stored in a document as well. In addition to the documents, keep a backup cash stash. Keep at least $50 in US dollars hidden in a secret spot deep inside your luggage, like inside a tampon or hidden in a sock. In a separate spot, keep a backup credit card. If your purse or day bag is stolen off your body and literally everything is taken away from you, this will provide you with a temporary financial cushion. Do you really need travel insurance? Absolutely. It could save your life, and in this day and age, with so many online providers, there’s no reason not to get it. Whether your luggage is lost, you end up in a political coup or natural disaster, or you need to go to the hospital while on the road, travel insurance will reimburse your expenses. If you’re robbed, travel insurance will provide you with the security you need. If the very worst happens and you end up losing your life, good travel insurance will allow your family to bring your body home without paying tens of thousands of dollars and getting wrapped up in mountains of red tape. In short, if you can’t afford travel insurance, you shouldn’t be traveling in the first place. Be sure to examine prospective travel insurance policies in depth, because they might not cover your personal situation. Many insurance plans won’t cover certain adventure sports or particular countries or regions. Most plans will only cover a fraction of the value of your electronics. There’s no need to go out for a walk in the city with all of your credit cards, your passport, and the equivalent of $500 in cash. Take what you need for the day: maybe around $50, tops, and a debit card, and keep the rest locked up in your accommodation. Almost every reputable hostel has lockers available for guests. Use them if they have them. In guesthouses, hotel rooms, or other places that don’t have a locker or safe for you, use a portable safe instead: a slashproof bag you fill with your valuables and lock to a pipe or something else sturdy in the room. Want to have the attention of every pickpocket in Paris? Show up in shorts and a t-shirt. For extra credit, wear Birkenstocks. As normal as shorts and a t-shirt would be in North America, you would never see that style in most of Europe. Shorts are rare and Europeans in general dress much more neatly than North Americans, especially in France and Italy. The more you stand out, the more you brand yourself as someone who is unfamiliar with the location, which makes you more vulnerable to criminals. Instead, research your destination in advance, observe how people dress, and try to pass as a local – or, if that’s impossible (like if you’re in Thailand or Mexico and look neither Thai nor Mexican), try to pass as a longtime expat. That means eschewing the backpacker trail uniform of drop-crotch hippie pants and souvenir beer t-shirts in favor of casual but neat and tidy clothing. That means covering your arms, legs, and cleavage in Muslim countries, wearing loose clothing in India, and wearing long pants in Europe and Latin America. In tandem with blending in, it’s important to maintain confidence at all times, and even if you’re not confident, at least maintain the appearance of confidence. When you’re walking down the street, hold your head up and your shoulders back. Look straight ahead and walk with a purpose. Pretend that you have somewhere important to be, and if you fall prey to street harassment, ignore it and keep moving. If you become lost and you need to find your way, slip into a shop or café to consult your map privately before continuing on. It’s a good idea for at least one designated friend or family member to have a copy of your itinerary in advance: your flight numbers, your accommodation, and a general schedule of where you’ll be on which dates, as well as information on your travel insurance, credit cards, and a bank account number. Plan ahead of time how you’ll check in and how often, whether it’s through daily emails, texts, social media updates, or regular Skype chats. Whatever you choose to do, make sure you keep a consistent schedule. Staying in touch is a way to assuage the fears of your loved ones, but if you find yourself in trouble, they would be able to locate you much more easily than if you had been vague about your whereabouts. But you shouldn’t bring valuables in the first place! True. You shouldn’t bring anything you would be despondent to lose: family heirlooms, expensive jewelry, your birth certificate, and the like. Today people travel with an amount of technology that was unfathomable a decade ago. Most travelers bring a smartphone at the very least; many bring laptops, tablets, Kindles or other e-readers, DSLR cameras with pricey lenses, and more. When you consider the costs to replace any one of those items, they definitely count as valuables. You should have a day bag into which you can fit all of your important items: your passport, your camera, your medication, your jewelry, your credit cards, your smartphone, and any other technology, photography or otherwise valuable equipment. Never put these items into your general backpack. Never put these items into the luggage hold on a bus. Never put any of those items into your checked luggage on a plane. If you let them out of your sight, there’s a fair chance that they could be taken away from you forever.